The head of Nintendo is worried about being misquoted, not just by the press, but by translators as well. 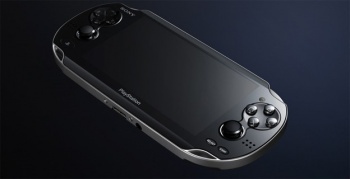 Nintendo Boss Satoru Iwata almost certainly has an opinion on Sony's new handheld, the NGP. You shouldn't expect him to share that opinion though - at least not on the record - as he doesn't want the nuances of his thoughts to get lost in translation. Iwata said that his remarks about the iPad last year had been distorted when they were converted to English. He claimed that his comments about the device didn't originally have any slant on them, either positive or negative. The translation, however, made it seem like he was bashing the iPad for being nothing more than a big iPod Touch. Iwata said that he didn't want the same thing to happen with the NGP, so he was keeping his opinion to himself. He also wouldn't say how Nintendo would respond to the NGP as a company, commenting that Nintendo's focus was on building its own business, not trying to counter someone else's. He did acknowledge that Sony's approach with the NGP was different to Nintendo's strategy with the 3DS, but said that it would ultimately be the customers who decided which company had the best product. It's much too soon to think about picking a "winner," especially as we're talking about products that are at completely different stages of development. Sony's success or failure will depend on a lot of factors, such as what games are available, how much they cost, how much the NGP itself costs, and how Sony markets it. Until we've got this information, it's impossible to make any proper comparisons between the NGP and the 3DS, or indeed, the NGP and anything else.